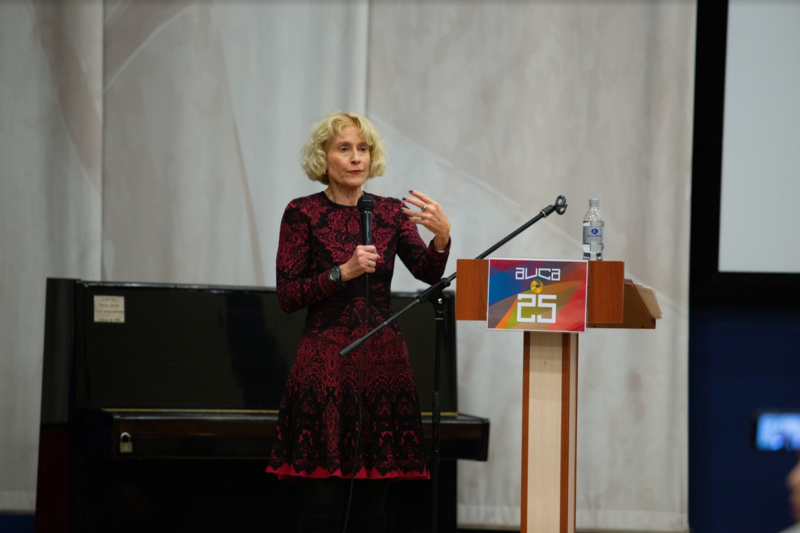 In mid-March 2019, the world-renowned philosopher and author Martha Nussbaum has visited Bishkek for the first time. At the invitation of the American University in Central Asia, Professor Nussbaum held the open lecture on her new book "The Monarchy of Fear: A Philosopher Looks at Our Political Crisis." Read more about the lecture here, and watch a full video recording of Martha Nussbaum's speech here. 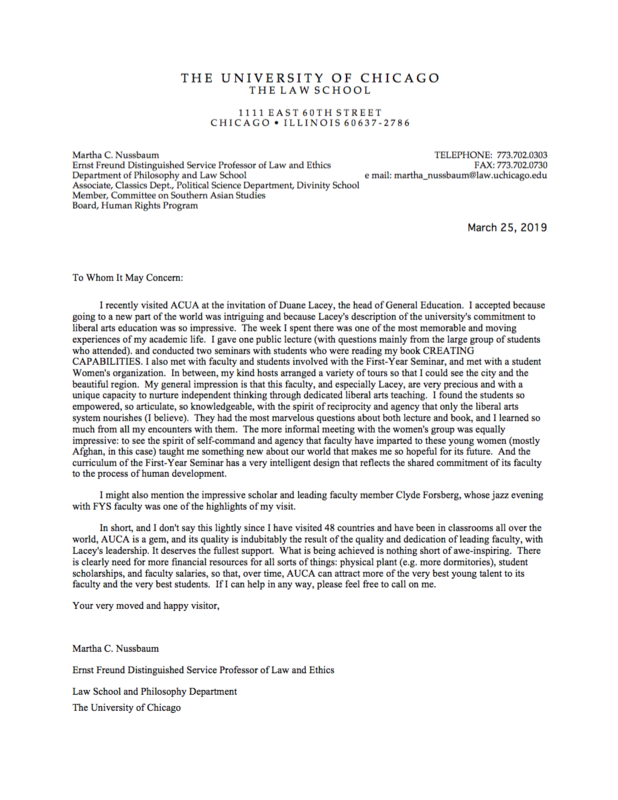 Recently, AUCA received a letter in which Professor Nussbaum shares her impressions of visiting the university and communicating with students and faculty. Martha C. Nussbaum is a member of the American Academy of Arts and Sciences, Corresponding Fellow of the British Academy. She was listed among the world's Top 100 intellectuals by Foreign Policy and Prospect Magazine more than once. Prof. Nussbaum received her BA from NYU and her MA and Ph.D. from Harvard. Previously, she has taught at Harvard, Brown, and Oxford Universities. Professor Nussbaum is internationally renowned for her work in Ancient Greek and Roman philosophy, feminist philosophy, political philosophy, and philosophy and the arts.